Sevilla arr. 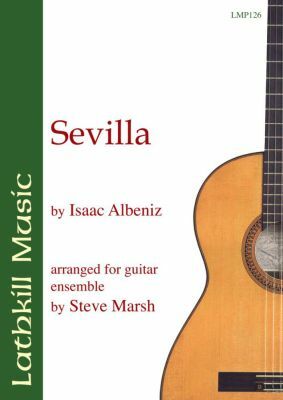 Steve Marsh for guitar ensemble. A brilliant arrangement from the original piano score arranged for 8 guitars (or more) and optional bass. First performed at the 2008 Guitar Summer School held at Dillington House, Somerset, U.K.